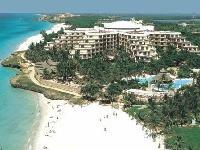 The Melia Varadero is located right alongside Varadero beach. It's at 7.5 km from the town of Varadero and next to the new Shopping Mall and Convention Center. The airport of Varadero is 35.5 km away and the airport of Havana 140 km.